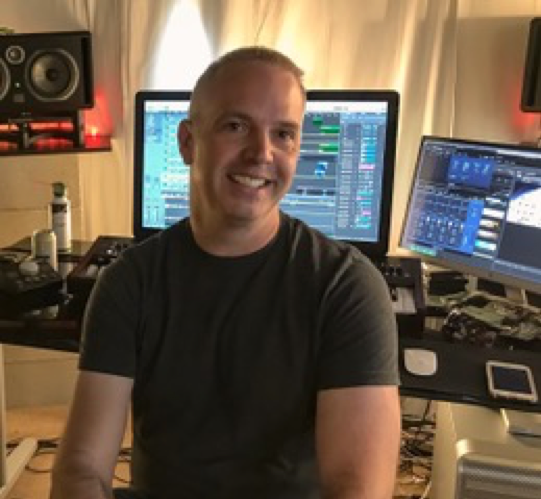 Jim Stout has had a long career as a sound designer, music producer, sample and synth programmer. Currently based in Denver, Colorado, he is the CEO of Carma Studio. 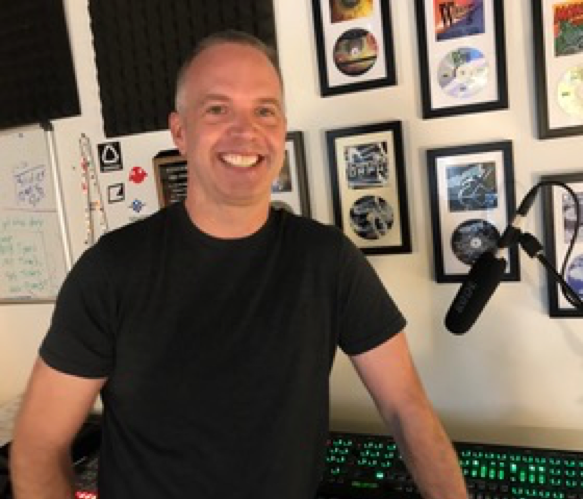 Formally, he was the General Manager of Sounds/To/Sample and Beatport Sounds, and has created popular packs for Hollywood Edge, Sounds Ideas and Megasonics including Mechanical Morphs, Game FX, Tonal Atmospheres, Title FX and Monsters Creatures to name but a few. In addition to this, Jim has also produced video and sound design work for Open Labs and Roland and his work can be heard in the Fantom Series, MV-8800/8000 MC, V-Synth Series and SP Series. How did you get into the audio industry? When I was 11 years old, I saw a demonstration of the Alpha Juno-1. I was immediately captivated; and from then on, I was obsessed with finding and reading anything I could about synthesizers. I asked my mother if I could have a Korg Poly-800 for Christmas. I opened it up on Christmas morning, and that was it. I was hooked. What led to the creation of Carma Studio? To be honest, this was really always in the back of mind. Carma Studio itself, was started in ‘94. But after a while, I became focused on other areas of my career and Carma Studio just sort of laid dormant. Over recent years, I had been starting to think more and more about creating a space for myself that would only release products that I could really get behind. So I finally caved-in and I’m so glad that I did. Carma Studio is not merely a sample label, it’s a studio in every sense of the word. It’s about creating art, for all audio mediums. This is why you can find sounds ranging from SFX to electronic music elements, and everything in between. Carma Studio is also a music label and you can expect to see some great new music, along with some recognizable favorites coming very soon. You’ve also worked for Roland, programming sounds. How did that come about and what did the work involve? So Roland called to schedule a meeting, and told me they wanted to show me a new product. What they ended up showing me was the V-Synth, and I very impressed by it. After that meeting, they asked if I would be willing to handle the demonstration for the product debut of the V-Synth at NAMM. Naturally, I said yes and after the NAMM show, they offered me a full-time position. So I guess they liked the demo. I’m always working on multiple projects at once. Right now, I’m working on some projects for Jeff Rona. I’ve got some more Roland projects in the works with Francis Preve. and generating content for Carma Studio is a never ending project itself. What has been the most rewarding sound design project in your career so far and why? There really hasn’t been one particular project that’s been any more rewarding than another. Each project is an entirely different adventure. Depending on what I’m working on, a different path to new ideas and inspiration will inevitably present itself every time. Most recently however, I would have to say Sounds of Halloween and Synthwave for System-8 have stood out as projects I really enjoyed working on. Working on Sounds of Halloween was exceptionally fun and personally satisfying in many ways. It really was a labor of love, and I had a great time pushing myself to create something that reached into a variety of sound design areas. I loved exploring new techniques, new plugins, new ways of working in general. I got the chance to push myself creatively, while still staying within the boundaries of the project’s purpose. Synthwave for System-8, on the other hand, I enjoyed mainly because I was able to get back to what started it all for me – programming basic and useful sounds. And it was a great opportunity to work with Francis Preve. Being able to collaborate so fluidly resulted in a project that is quite unique. You recently designed some presets for Weaponiser. Can you take us through the process of how you chose and recorded these sounds? Well, it definitely helped that my father-in-law had such a large collection of guns. So I was able to record just about every sound I was hoping to get. With all of those field recordings ready to go, designing the presets came about from my own experimentation. There is so much that can be done in Weaponiser, I had to keep re-centering myself because I kept discovering features that made me rethink what I just did. Once I zeroed in on the effects I really liked, it was simply a matter of fine-tuning each sound to get the final result. What do you like most about Krotos Audio software? I think Krotos Audio has really come up with some clever tools that can help you become a better sound designer. With the way the software is structured, it almost forces you into a more creative state of mind. The results you can get from each plugin are so dramatic, and the sounds you’re processing are generated so quickly and easily, you can find yourself going down a path of constant experimentation time and time again, no matter how much you use it. The software has a very inviting quality about it and it’s not intimidating in any way. Whether you’re new to sound design, or you’ve been doing it for decades – every time you play around (no matter which plugin you use – Weaponiser, Reformer Pro or Dehumaniser) you’re guaranteed to surprise yourself with what you come up with. It’s very gratifying. I think we’re going to see a lot of virtual and augmented reality coming into play. The way we interface with technology is changing drastically, and the audio world is already incorporating more of these interactive technologies into the software we see today. Down the line, the interactive qualities of VR and AR are going to allow us to create sounds using subtle gestures, physical movements that manipulate sound in a way that is both more tactile, and yet, more etheric. The way we work with sound, and the way we experience sound is going to become more reciprocal. What’s the greatest sound design – related tip or piece of advice you’ve ever learned? Find out more about Carma Studio here.